Fresh after returning from Maison&Objet in Paris, we are in the process of setting up our new temporary home inside the Summerhouse at The NEC, Birmingham. The doors to The Spring Fair open tomorrow morning at 9am and we look forward to seeing many of you there in the coming days. We have lots of new things to show you including some of our early favourites; a contemporary styled wire mesh ceiling light, a beautiful oval dining table with a grey stone top and a stunning mint green ceramic jug in a crackled glaze finish. It’s always great to have the chance to bring our items alive away from our showroom in Chessington. Our recent trip to Paris was exciting and lots of fun, but our relationship with the NEC goes back a long long way – and will always be hard to beat. Introducing Our New Showroom at Chessington A stone's throw from London. Pop in for a cup of tea and a browse! 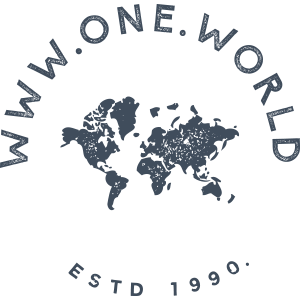 Welcome to www.one.world We've got a fresh new website, and an exciting new URL!